Sure, spuds and bulbs are tasty when combined together in meals. But they should actually be stored far away from one another. 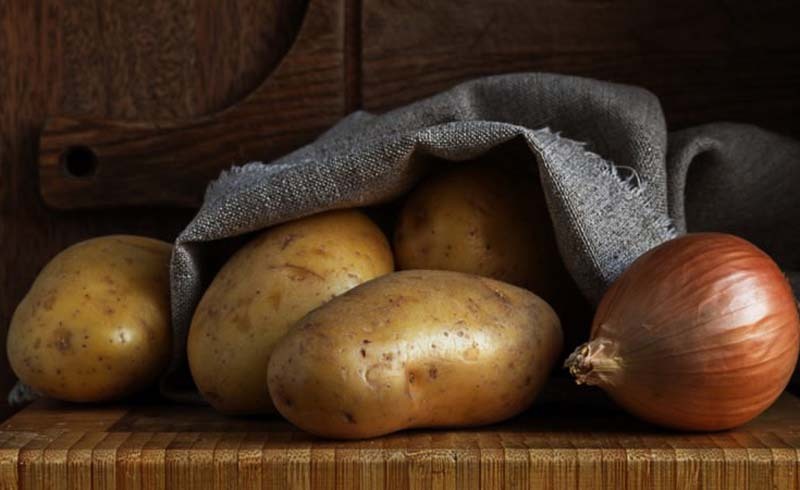 Your potatoes should be stored in a cool, dark, dry place, such as a pantry or cupboard. Use a storage container that is well-ventilated, such as a crate, a cardboard box with holes punched in it or any container that will allow any excess moisture to evaporate. Keep the container covered to block light and prevent your spuds from spouting. 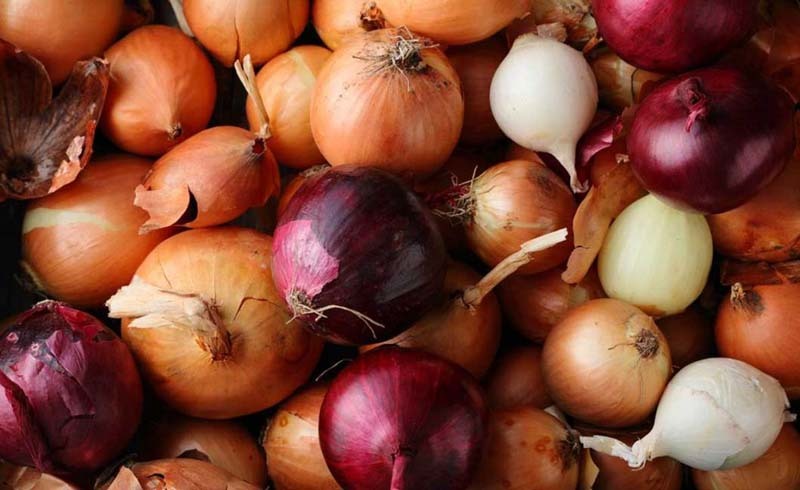 Onions should also be kept in a ventilated space, such as your countertop. You can keep them in a paper bag or even a wire basket. It isn’t necessary to store onions in the refrigerator, as the cold temperature will quickly soften their texture.